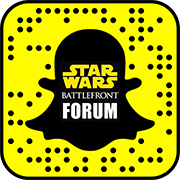 Welcome to our Battlefront news, videos, trailers, memes, and more content that revolves around the new Electronic Arts and Dice video game. We will post news and information about the game along with a number of other cool and interesting things. You will be able to find some funny Battlefront memes along with most of the video game promo images that were released by EA. Our YouTube channel carries some our videos and please don’t forget to subscribe because we want your support. Also, be sure to check out and download our Facebook covers that you can use on your own profile page. We cropped them to fit just right, and we will continue to add more as we find the time. As always, please leave us a comment or visit our forums to share your thoughts. We are a growing community, and so we would enjoy having you help us grow.